Welcome to Day #7 of Chocolate and Raspberry Theme Week, and Day #2 of Chocolate and Peanuts Theme Week. 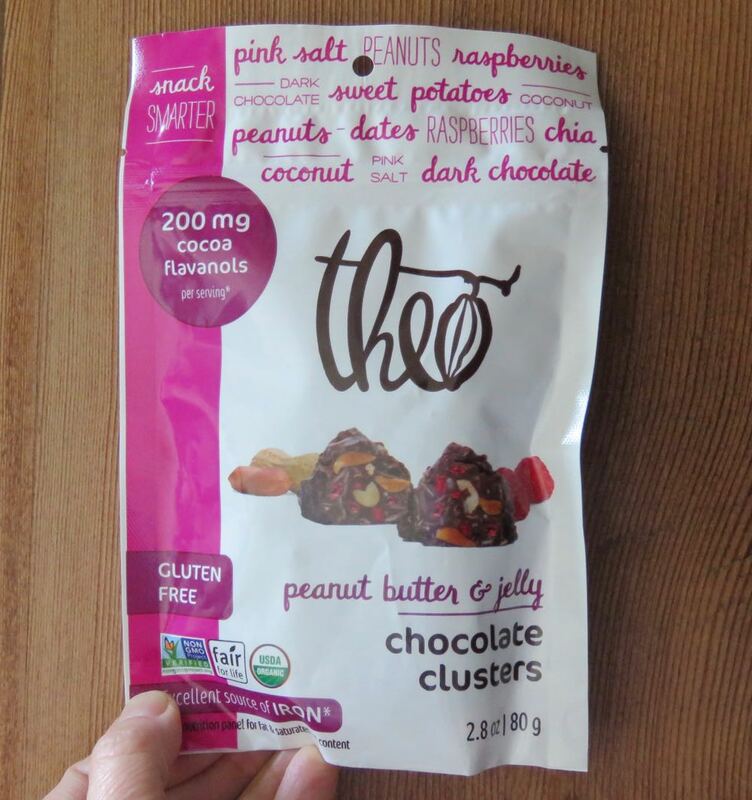 Today's peanut butter and jelly chocolate clusters were distributed by Theo Chocolate (Seattle, WA). These Organic, mini hay-stack shaped chocolate clusters had a chocolate and coconut aroma. They provided a hearty and sweet blend of coconut, nutty and berry-fruit textures and flavors, with an occasional tiny sparkle of pink salt. Marketed as an "Excellent source of iron" with 200 mg** of cocoa flavanols per serving, these Non GMO and Kosher Dairy snacks would transport reasonably well during a hike or adventure. Just keep them away from direct sun and high temperatures, as you would any chocolate. 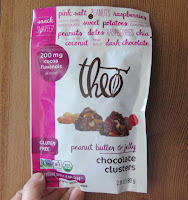 *For those watching allergens, these chocolate clusters did contain peanuts and coconut. They were free of ingredients containing soy, wheat or gluten, but were manufactured on shared equipment with products containing soy, milk, eggs, wheat and other tree nuts. **Flavanols are phytonutrients found in cocoa beans. And flavanol levels in chocolate can vary due to many factors. According to USDA database figures, unsweetened baking chocolate has about 206 milligrams (mg) of flavanols per 100 grams of chocolate. As sugar is added and cacao percentages drop, the flavanol levels tend to drop as well. 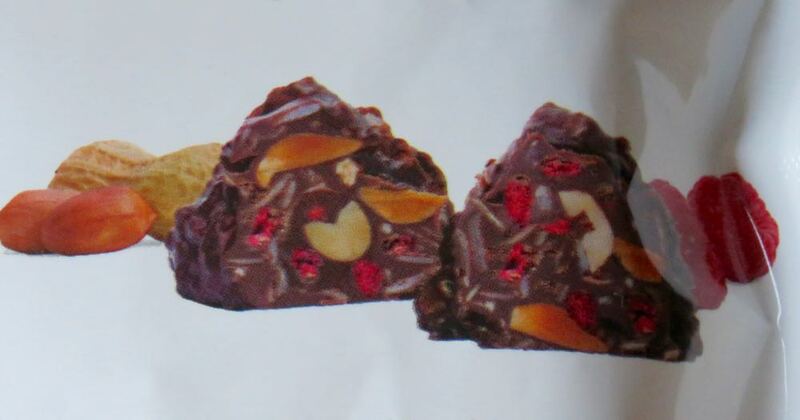 Some dark chocolates may contain only half this 206 mg amount. Commercial milk chocolate may contain less than 20 mg of flavanols per 100 grams of chocolate.